Key West, FL (PRWEB) May 1, 2013 – Key West Seaplanes, the region’s premiere provider of private seaplane charter services, recently expanded its fleet with a custom-designed and custom-built luxury Cessna 206. This luxury seaplane was crowned “Grand Champion Seaplane” at the 38th Annual Sun N Fun International Fly-In and Expo in the Spring of 2012. This recognition continues as Key West Seaplanes’ champion winner seaplane is featured in the Official Souvenir Program of the 39th Annual Sun N Fun International Fly-In and Expo held April 9-14, 2013 in Lakeland, Florida. This first-of-its kind custom seaplane created by Wipaire, Inc for Key West Seaplanes takes air travel to the next level with this luxury seaplane equipped with every possible cutting-edge Wipaire modification. This seaplane is the commercial seaplane operator’s dream come true. The modifications to this Key West Seaplanes‘ aircraft have taken the seaplane industry’s standard to a new level. These modifications on this award-winning seaplane increase safety, performance, reliability, fuel economy and passenger comfort. Of the amenities found aboard this Key West Seaplanes’ custom aircraft is the Wipaire-installed co-pilot door which adds an immense amount of safety and convenience for the front seat passengers of Key West Seaplanes. This co-pilot door allows a third way of entering or exiting the seaplane. Other modifications include the “Wip Tip” wingtip extenders that extend the wings by 18 inches. This modification gives drastically increased performance to this champion, luxury seaplane. These “Wip Tips” increase the rate of climb and reduce the take off and landing distances. This is especially beneficial in hot and humid conditions found in The Florida Keys, and for the company’s seaplane charters to the Bahamas and Caribbean. Another phenomenal modification to Key West Seaplane’s Grand Champion Seaplane is the Continental I-O 550 engine upgrade and McCauley Prop modification. Wipaire was the pioneer in this combination modification, being the first to recognize its potential for seaplane operators. This adds to quieter operations, thus protecting the environment because of its lower noise level. Key West Seaplanes provides private seaplane service to Little Palm Island as well as other private and exclusive island resorts throughout the state of Florida, The Bahamas and Caribbean. Key West Seaplanes offers this custom-designed and custom-built Grand Champion Seaplane to its passengers in its daily operations. Key West Seaplanes’ Scenic Flights also allow travelers to experience this award-winning seaplane as well as Island Hopping flights throughout The Florida Keys. 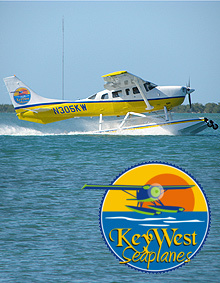 Key West Seaplanes is based in Key West, Florida and is owned and operated locally in Key West. Flights include private seaplanes to Bimini and all points in The Bahamas and Caribbean, the Florida mainland including Watson Island Seaplane Base near Miami’s South Beach…as well as all The Florida Keys and Key West. Travelers have their choice of charter flights as well as local scenic flights. The company has recently been featured on The Travel Channel on an episode of Trip Flip/Seaplane entitled “Ocean Adventure” during which a couple boards Key West Seaplanes and travels the length of The Florida Keys during an Island Hopping seaplane excursion. Key West Seaplanes has also enjoyed other recent accolades having been featured in a Seaplane to Little Palm Island story in FLYING Magazine in the December 2011 edition as well as on The Travel Channel featuring their private seaplane flights and the exclusive Little Palm Island. Key West Seaplanes is also proudly featured on the cover of the current edition of Florida Travel and Life. 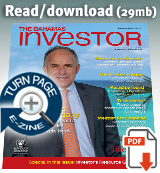 Billed as a strategy-based dialogue involving leaders of the financial services industry, a CEO Conclave was hosted by the Bahamas Financial Services Board (BFSB) April 27. The forum was open to chief executive officers of member firms, BFSB’s Board of Directors, and heads of professional industry associations.